How To Blow Dry Hair Without Frizz? Comb out any tangles: you will have to start by wither using your fingers or a wide-toothed comb to detangle the hair. Begin at the ends and then work your way to the roots. Don’t run the comb stair down from the roots to the ends to detangle as this will break hair. Towel Soak up excess moisture: make sure to gently squeeze out any excess moisture and not rub the towel to the hair. For curly and delicate hair, use a microfiber towel or t-shirt rather than coarse fibers from regular towels. 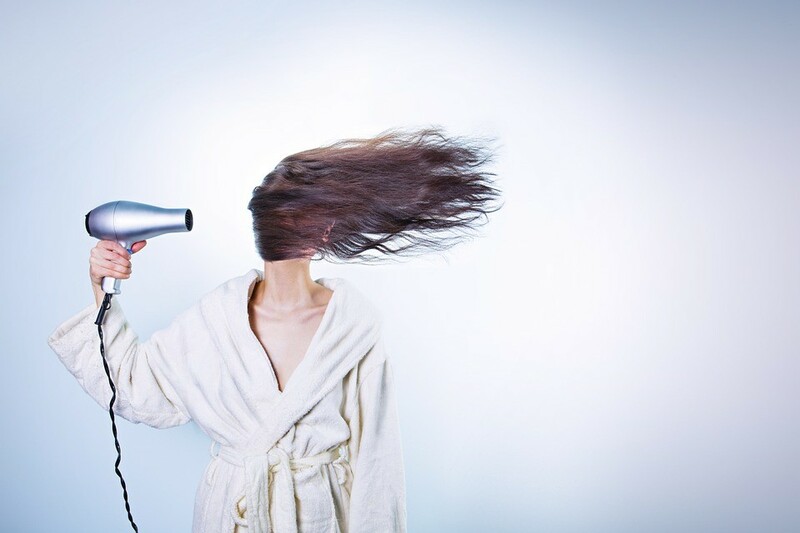 Hold hair dryer approximately 12 inches away from hair: the reason you shouldn’t hold the hair dryer closer is because it might lead to heat damage which definitely leads to frizzy hair. However the only time you can hold the hair dryer closer is when you are styling the hair. Make use of lower heat setting: it is very important that you don’t at any point use the high heat setting rather make use of the cool or even no heat setting. If you happen to be in a hurry then you can make use of the low heat setting. Point nozzle downwards: you will have to begin from the scalp and work it down so that the airflow will make the hair cuticles to lay flat rather than curl upwards so as to make hair smoother and shiner. Use finger or wide-toothed comb: this will help keep the hair smooth as compared to regular brush mainly if hair is still wet. The finger r wide tooth comb will be gentle on the hair but you can change to a normal brush once hair is drying. Heat and air settings: if you have curly or wavy hair it is best that you don’t just blast the hairline while using a high heat and air setting. Rather you should use the low heat and low air to assist you brush the kinks out of the hairline. If not you will over-dry your hair and thus make it hard to work with and get the shape or movement that you look forward to. Type of brush: the biggest blunder that anyone can do is use a metal brush while hair drying. This is because the metal types have the ability to heat up way faster and make the hair very hot. So make sure to look for a round brush that has a combination of boar bristles and nylon. Holding angle of the brush and dryer: one of the good tips while at home is to ensure that your brush is in a vertical position while your hair dryer is in a horizontal position as contrasting to the other way. Through this, you will get a better modern wave rather than blowing all the things under. Holding the dryer in position: sometimes it looks like pointing the dryer at your hair and of course if you hold it there longer then the hair will dry faster but you are not supposed to do that. If you do that then you might end up just frying your hair off. Section off the hair: of course most people will section their hair before blowing it but the question is are you doing it right? Well, make sure that you first section the Mohawk on the top and then after hair dry the front and after that work out your way while going to the back. Create tension: this is one of the best steps for drying the taut sections of the hair however you shouldn’t over pull it. This is important in making the hair dry smoothly. Make sure that as you are going through the sections many times, make sure that you get the root and then after create the tension using the brush. X5 Superlite 7027 Superlite 1875 Hair Dryer is the kind that is designed for the woman that wants to totally eliminate fizzy hair. It does this through the ionic technology that is able to emit the negative ions and the infrared heat. What you should know that negative ions interact with the wet hair in a way that it breaks up the water molecules and let the smaller droplets to penetrate the outer layer of the shaft of the hair. The best part is it does all this in a very natural occurring phenomenon. This way you will have a reduced tension on the tension of the hair so as you leave behind locks that are very shiny and without any amount of frizz in them. Another good thing to this performance is that the hair will take a very short time to dry without it damaging the hair but rather leaving it properly moisturized. 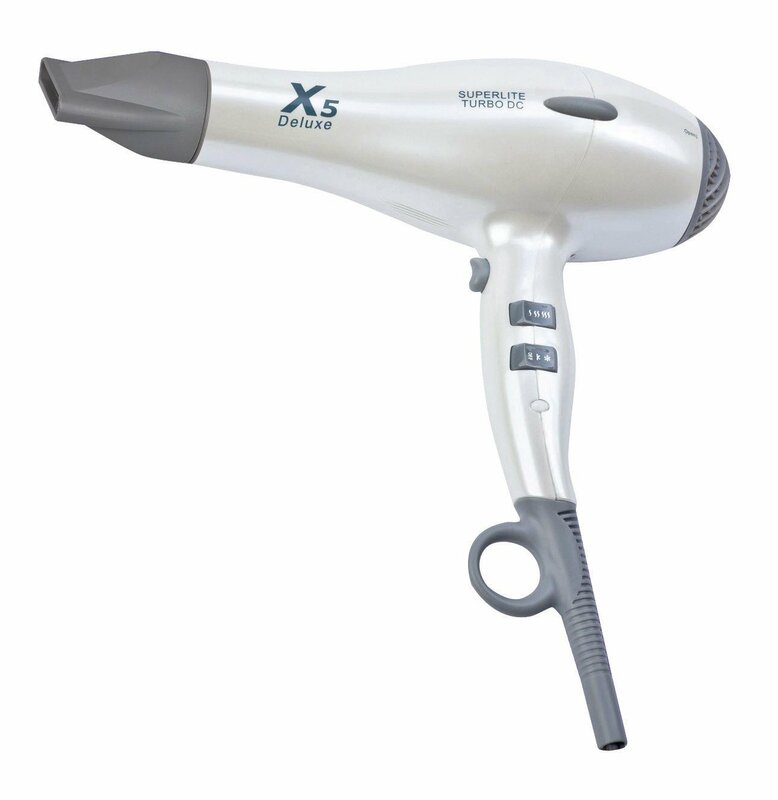 However what amused us the most about this X5 Superlite 7027 Superlite 1875 Hair Dryer is that it comes with a rapid speed heat up and best of all the heat will be evenly distributed so that there are no patches or unevenness caused in the hair which is a common thing with most traditional hair dryers. With a 1875 watt of power, you are sure to be safe at home and also travel with it anywhere and still use it without any power issues. Finally this X5 Superlite 7027 Superlite 1875 Hair Dryer is constructed with a feather weight design that lets you easily carry it for long hour without feeling the discomfort caused by heaviness. Fast drying: one of the things we really appreciated about this X5 Superlite 7027 Superlite 1875 Hair Dryer is that it is constructed to dry the hair very quick. 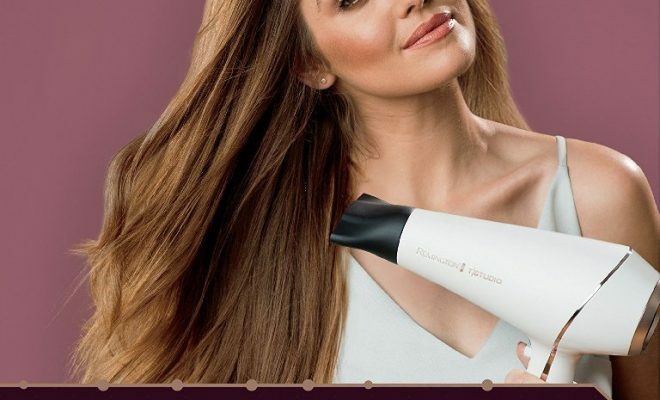 I haven’t found anyone who would want to keep blowing their hair for long so as to dry it and that is why this hair dryer lets you have a very quick drying. This way your won’t tire as you hold the dryer up for long and neither will you for late to do your other duties. Also you will not leave the house with wet hair or damp hair because; you will just quickly dry it and then go. Eliminates hair frizz: while other hair dryers might not remove the entire frizz from the hair, this X5 Superlite 7027 Superlite 1875 Hair Dryer will completely eliminate all the frizz that is in the hair. It does this through naturally emitting the whopping amounts of the negative ions and the infrared heat found in the hair so as it leave it feeling very smooth and silky without any frizz in it. Relatively quiet: the reason I have said this X5 Superlite 7027 Superlite 1875 Hair Dryer is relatively quiet is because it is not completely quiet but also not so loud like the variety of the other hair dryers that you can find. it produces this noise that can actually be accommodated while being used. Gets too hot: the only thing we didn’t like about this X5 Superlite 7027 Superlite 1875 Hair Dryer is that sometimes that heating goes too high which is not very good for the hair as it can be a little too hostile and I guess that’s the reason why it is able to easily dry up the hair. Barbar Italy 3800 Hair Dryer is one of the hair dryers that is really loved by some of the popular people in that world that is why it has been featured on the TV’s Good Morning America as well has it has been spotted in the high-end fashion magazines. It’s for that reason why the performance of this hair dryer is considered top-performance and it has the ability to completely take out the frizz right out while putting the shine back into the hair. If you are looking for salon quality hair that is obtained in a hurry then you got to make use of these 2000 watts of power that is able to minimize the amount of drying time by up to 50% as compared to the traditional hair dryers. The kind of ac motor used has been imported and it has the ability to easily circulate the air so as to provide a soft and shiny end result. Furthermore it contains a built in ionic charger that is able to thoroughly fight frizz and then create volume in hair. However what stood out most for me was the multiple heat and speed settings with the heat able to reach a maximum of 310 degree Fahrenheit. At just 1.3 pounds, this Barbar Italy 3800 Hair Dryer is considered to be of lightweight allowing you use it even longer without inconveniences plus it also includes a 10 foot professional cord which means you won’t able to feel stuck to the wall anymore. Finally there is a cool shot button as well as 2 air concentration nozzles. Ionic charger: one of the amazing things about this Barbar Italy 3800 Hair Dryer is the ionic charger that it has been constructed with. This kind of charger has the ability to instantly alter frizzy locks into a very sleek and shinny look. This means that you hair in the end will have more volume in it and then even provide the fine hair with a kind of lift that will last. 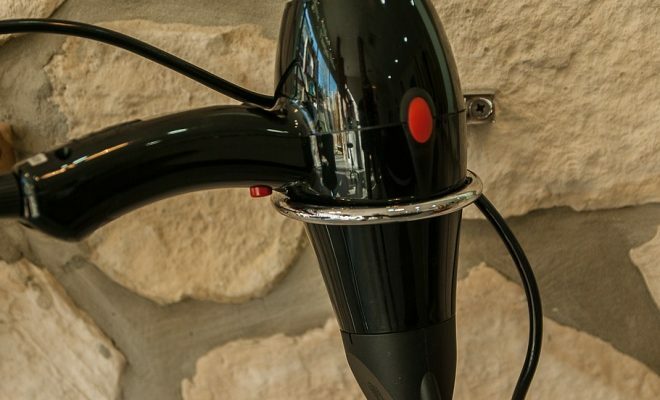 Weighs less: one other pro to this Barbar Italy 3800 Hair Dryer is that it weighs very little with just approximately 1.3 pounds in weight. This is important in a way that you will be able to easily hold the hair dryer for long as you get a professional look and not feel the weight draining you down. Multiple heat and speed settings: this Barbar Italy 3800 Hair Dryer has been built with multiple heat and speed settings that are designed to assist you adjust to any speed or heat settings that you find very appropriate for a professional salon look. So whether you just want a quick dry or a slow one then you got it with this Barbar Italy 3800 Hair Dryer. The most important part is that the heat settings come with a maximum ability to heat up to 310 degrees Fahrenheit. A 10-foot professional cord: if you are not looking towards getting stuck to the wall as you dry out your hair then you need to get yourself this Barbar Italy 3800 Hair Dryer. This is because it is constructed with a 10-foot professional cord which means it is long enough for you to sit or even stand upright and comfortably dry your hair for a professional look. Quiet loud: one of the cons to this Barbar Italy 3800 Hair Dryer is that it is really quiet loud and this puts it at a disadvantage as compared to the other quieter versions of hair dryers. 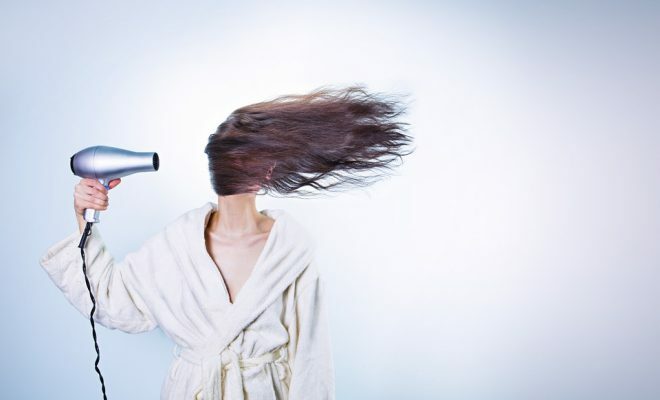 It is so loud that you will just want to get done with drying your hair as soon as you start. Are you a fun of shiner hair with very minimal frizz? 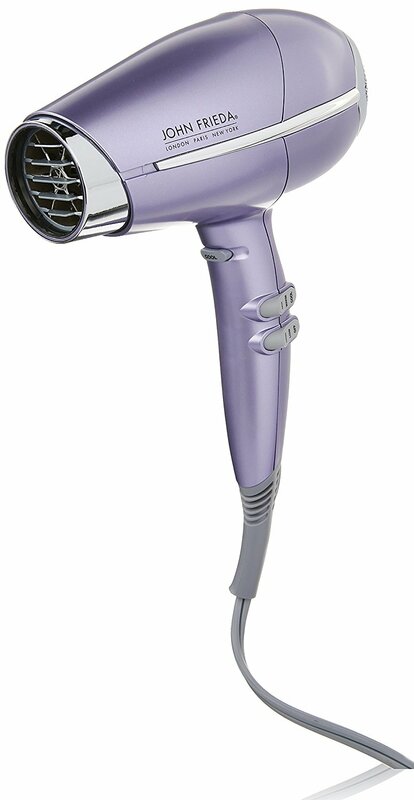 If yes then this Bed Head Bh407 Ionic Turbo Dryer is the kind of hair dryer you should be considering. it has been constructed with an ionic technology that is designed to leave your hair a lot shiner than before with almost no frizz at all so that you always have results that are healthy looking. One of the performances is through the cold shot button that is created to let the user be able to set their styles easily. This cold shot button is able to release cool air that is responsible for setting the style. On the other hair if you want a drying and a styling flexibility then you ought to make use of the 2 heat and speed settings that have been provided. You can make this possible while using the professional rocker switches that are perfectly located on the Bed Head Bh407 Ionic Turbo Dryer. Another performance is through the concentrator attachment that has been included and serves the purpose of letting you have a very precise styling. One of the features that amused me the most about this Bed Head Bh407 Ionic Turbo Dryer is that it is built with a removable end cap w use which is good in a way that it will make it easy for you to clean and maintain the cap after. 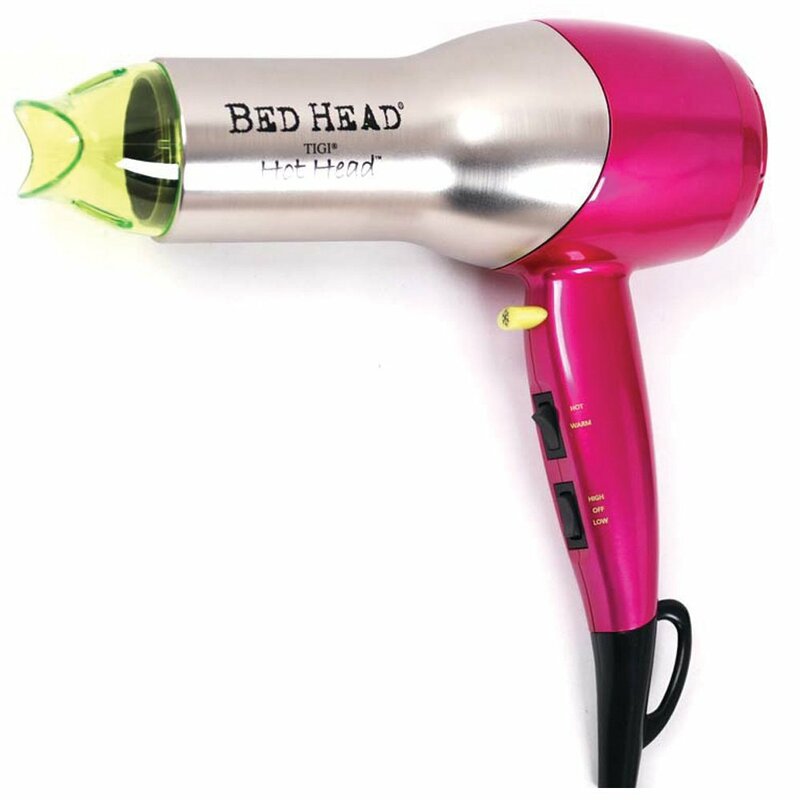 This Bed Head Bh407 Ionic Turbo Dryer at a 1875 watt power letting you get the style in a short time. It contains a perfect size with measurements of 3.5 x 11 x 10.2 inches that will let it fit well in your hands while the low weight of 1.1 pounds lets you use it longer without feeling the weight. Makes hair shinier: if you want very beautiful shinny and silky hair like the ones that you always see in the commercials then you got to own this Bed Head Bh407 Ionic Turbo Dryer. This is because this hair dryer has been constructed with the ionic technology that is able to heat up perfectly making the hair very shinny with almost no frizz at all in the hair. This is how you will be able to do your own hair but then look like it was done by a professional hairstylist. 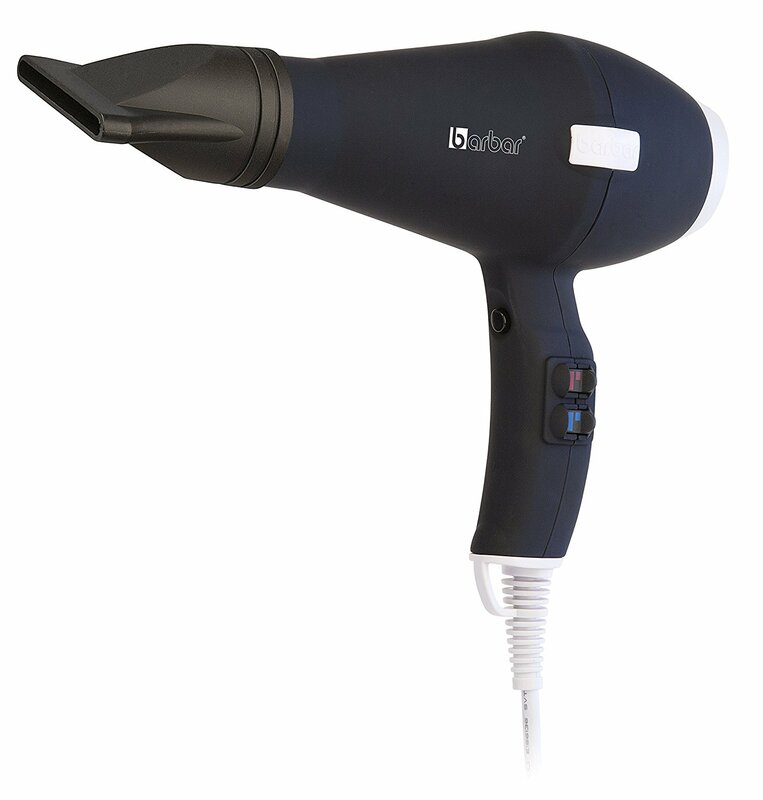 Locks in style: another reason to love this Bed Head Bh407 Ionic Turbo Dryer is that it features the cold shot button that will let you be able to lock in the style all day or even week long. This button does this through releasing some cool air that has the ability to lock in the style after you have completed drying it. Easy to clean and maintain: usually the hair dryers that are easy to clean and maintain are the ones that will remain in a perfect working condition even after years of regular usage. It is for that reason why this Bed Head Bh407 Ionic Turbo Dryer has been built with a removable end cap so that you will be able to remove it out completely, do thorough cleaning and maintenance before you place it back in. 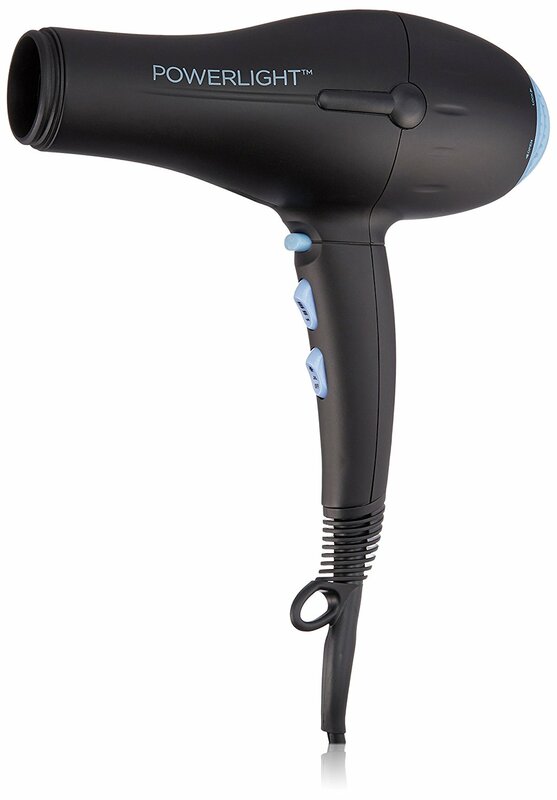 Noisy: what is there not to like about this Bed Head Bh407 Ionic Turbo Dryer is that it is very noisy when being used. This means that you will have to sacrifice the next few minutes of your hair drying to listen to only the noise that comes from the hair dryer and nothing else. If you have a problem with noise then you might have invest in a ear noise protector and have it on has to dry your hair. John Frieda Salon Shine Hair Dryer features an advanced ionic technology that is able to calm down the frizz and all you will have to perform is turn the dryer on to the pump up the volume and then after pour on the shine so as to create a salon style in your own home. This ionic technology will take the natural occurring phenomenon when the hair is still wet and then break up the water molecules. This way, it will let the smaller droplets to easily penetrate the outer layer of the hair shaft so that you have a healthy and professional shinny finish. This John Frieda Salon Shine Hair Dryer has been built with quality using the titanium ceramic-coated grille material which is a non-stick and also much more durable. It is able to run on a 1875 watts of power so that your hair dries instantly especially as helped with the fast drying high-toque DC motor. One of the best things about this John Frieda Salon Shine Hair Dryer are the 2 heat and 3 speed settings that lets you adjust to either a high or low speed or heat level that is appropriate for healthy hair drying. The locking cool shot buttons lets you completely lock the style while using the cool air that it releases. The removable filter allows you to remove it out completely for simple cleaning and also regular maintenance. Finally this John Frieda Salon Shine Hair Dryer is built with some attachments like one concentrator, one diffuser and finally a hang ring that are all very essential for proper hair drying. One concentrator attachment: we really found it amazing that this John Frieda Salon Shine Hair Dryer has been attached with one concentrator which is a very important device when drying the hair. This concentrator has been created to assist you direct the air flow precisely so that you can have more control as your dry the hair. They are highly recommended for professionals for smoothing and shaping the hair. One diffuser attachment: this John Frieda Salon Shine Hair Dryer has also been attached with one diffuser which is very important especially for the people that have wavy or curly hair. This is because the diffuser is used to increase on the volume and body of the air and also enhance on the waves or curls. It also serves the purpose of being able to minimize the frizz. You will be able to give your hair a lift and create a style with an amazing volume through combing the ‘fingers’ of that attachment as you dry it. Another reason to like diffusers is that they are able to minimize on the intensity of the blow dryer air flow that is able to tame frizz. Quality material: this John Frieda Salon Shine Hair Dryer has also been constricted using quality material which is the Titanium ceramic – coated grille. This is important because it means that hair dryer will not easily get scratched and it will be more durable as compared to the other cheaper materials. The other good side to this kind of material is that it is non-slip so you can hold it even with wet hands without worrying about it slipping off and landing so hard on the floor. Poor location of power switch: one of the things we didn’t like about this John Frieda Salon Shine Hair Dryer is that the power switch has been poorly located. This is because you will find yourself constantly turning it off as you dry your hair because the switch has been placed just exactly where your thumb would be getting hold of the handle. This is so inconveniencing especially when you are in a hurry to finish and leave the house or go other errands. If you travel a lot of just looking for a hair dryer that you can easily pack to wherever you go then we got you this powerful Ionic Dual-Voltage Travel Hair Dryer. All you have to say is yes to it! Well, it is a compact ionic hair dryer that comes with a true-dual-voltage that is able to provide all the power of a full size unit in just half a size. It does this through the 1875 watts of power that is able to dry the hair quickly. This true dual-voltage capacity is will let you use it around the world when you travel. The best part is that it is able to convert from 125 Volts to 250 Volts as the flip of a switch. Furthermore this Ionic Dual-Voltage Travel Hair Dryer will let you use both the speeds settings and the cool shot button in the 20 Volt mode unlike the other dryers that might claim to be dual-voltage.and that’s not all, this hair dryer also contains a built-in ionizer that is able to emit the negatively charged ions to counterbalance damaging positive ions that are produced by the environment and the conventional hair dryers. So if you continually use this dryer, it will add the hair volume, improve the luster and then minimize on the frizzy hair and flyways so that your hair always feels fuller, strong and healthy. However what really amused me about this hair dryer is that it can be folded down to a smaller size of 3″ width x 7″ length x 3 1/2″ height which makes it small enough to fit in any small bag. And better still is that it still weighs only 14.9 ounces in total making it very easy to carry. No more staying close to the wall because the power cord is long enough measuring a whooping 69 inch. Releases negative ions: one pros that makes this Ionic Dual-Voltage Travel Hair Dryer very powerful is that it has been built with the capacity to release negative ions. This is because due to the built in ionizer that is able to emit negatively charged ions to the offset damaging the positive ions that are created by the environment and the conventional hair dryers. It does all this using the ionic technology that is able to allow the negative ions to interact with the wet hair thereby breaking up the water molecules and letting the smaller droplets to be able to penetrate the outer layer of the hair shaft. Dual-voltage capacity: first of all this capacity means that you will be using this 1875 watts of power in any place in the world and then it will also be able to completely dry the hair quickly so that you don’t waste a lot of time. At the same time you will also be able to use both the speed settings and the cool shot button in the 250 Volt mode. Foldable hair dryer: this is so far the only hair dryer that we have reviewed in this article that can actually be folded to a smaller and more compact size and that is why we consider it the best hair dryer for travelling. All you have to do is fold it well and it will fit in any small luggage and also this makes it great for storage especially when you have children and pets. Wide concentrator: unfortunately this Ionic Dual-Voltage Travel Hair Dryer is built with a concentrator that is very wide and this means that the flow of the air will not only be concentrated in one place but rather a wider areas surface at a time making the style lock process much longer as compared to if it concentrated at a single spot at a time. Tired of frizzy hair? Well here is the BIO IONIC Powerlight Pro-Dryer that has been built with the kind of performance to solve that. First of all, this Nanoiomics mineral have been infused into the elite pro styling that is able to emit negative ions that are able to break down the water clusters in the hair. The reason why these micronized water molecules penetrate the hair is so as to provide extreme hydration thus giving the hair a very silky and smooth feel at all times. You will also find conditioning nano beads found on this BIO IONIC Powerlight Pro-Dryer that have the ability to accelerate the drying and then promote a soft hydrated and shiny hair. The airflow is very powerful operating at a 1875 watts so as to provide you with a drying that is faster and yet less damaging. 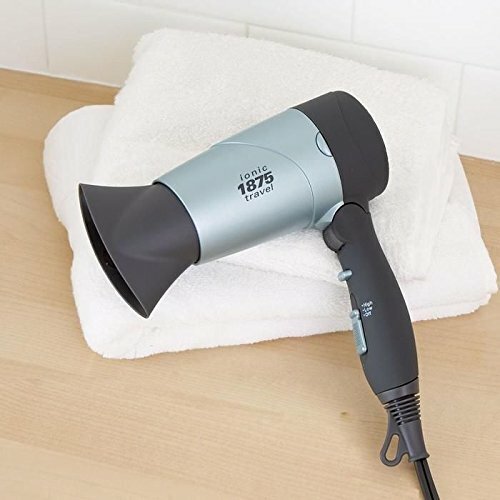 What makes this hair dryer very easy to use is the fact it is of ultra lightweight design weighing only 1.4 pounds making it very easy to use even throughout the day without you feeling the effects of the weight drained all over your hand, arms and shoulders. If you are looking for a durable motor then you got it with this longer lasting AC motor that is built in this BIO IONIC Powerlight Pro-Dryer. Nanolonic minerals: one of the things we really liked about this BIO IONIC Powerlight Pro-Dryer is that it contains nanolonic minerals that are very important to the hair drying. This is because they have the ability to not only hydrate the hair but also properly condition so that you always have healthy hair after it having gone through all that heat temperature to dry up. 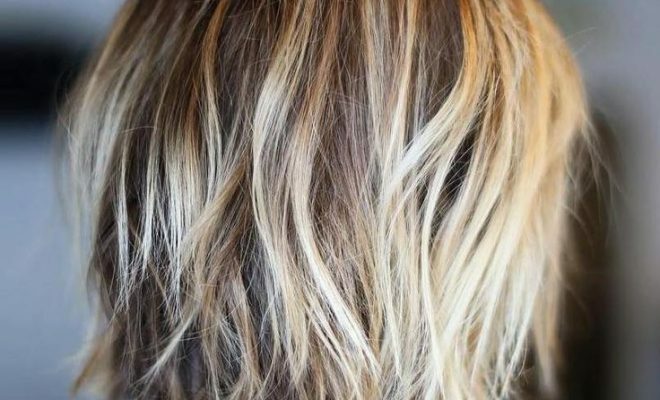 Furthermore it will also greatly eliminate the entire frizz in the hair so that you have a silky and smooth hair after styling. Advanced natural ionic technology: first of all you should know that the ions are the particles that have a negative or a positive charge. And so in this case the negative ions cooperate with the hair that is wet through breaking up the water molecules and letting the droplets that are smaller to go through the outer layer f the hair shaft. With this advanced natural ionic technology and all these things happening, you will definitely lessen on the tension found of the hair surface and then leave your hair all in locks that are shiny and at the same time frizz-free. Powerful airflow: it is really settling knowing that this BIO IONIC Powerlight Pro-Dryer has been constricted with a very powerful airflow in that is operates at a 1875 Watt. The good thing with this kind of watt is that it is very safe for home use and even travelling to other countries. Another positive side to this powerful air flow is that it is able to easily dry the hair and yet also maintain the curls or the waves that you might be having them. All it does is to completely eliminate any form of frizz from the hair. Weak filter casing: one of the things we didn’t like about this BIO IONIC Powerlight Pro-Dryer is that the filter casing has been constructed with very weak and cheap plastic material which means that it easily breaks even with just a slight falling. This means that after months of usage and constant falling, you might have only pieces of the filter casing and not one compact size like it should be unless of course you will be excessively careful every time not to drop it. This marks the end of this detailed review on ‘’the best hair dryer for frizzy hair’’ – 2018. Bookmark this post for future reference.